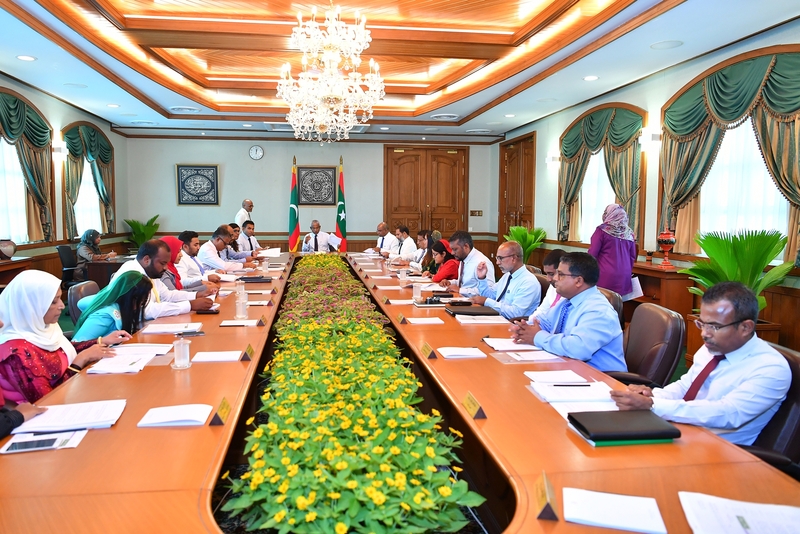 Following recommendations of the Cabinet, President Ibrahim Mohamed Solih has decided to submit for parliament’s approval, papers regarding the Maldives’ participation in the “Treaty between the Republic of Maldives and the Republic of India on mutual legal assistance in criminal matters”. The President’s decision was made at today’s meeting of the Cabinet. The scope of the treaty covers the facilitation of the widest measures of mutual assistance in the service of summons, execution of warrants and other judicial documents and commissions, in accordance with the treaty and subject to the domestic laws of participating States. It also includes improving the effectiveness of both countries in the prevention, investigation and prosecution of crime, including crime related to terrorism and tracing, restraints forfeiture or confiscation of funds meant for financing of terrorism as also the proceeds and instruments of crime, through cooperation and mutual legal assistance in criminal matters. For the purposes of the treaty, the Central Authorities stated in the treaty shall transmit and receive all requests made under the treaty. As per the “Mutual Legal Assistance in Criminal Matters Act” (Act No. 2/2015) of the Maldives, the Central Authority for the Maldives is the Prosecutor General’s Office. The treaty will facilitate the fight against criminal activity, especially crime related to terrorism. It will also aid in the investigation of such matters, obtaining evidence, and broaden the opportunity to interrogate those in question. Following the President’s decision to partake in the “Treaty between the Republic of Maldives and the Republic of India on mutual legal assistance in criminal matters”, the President’s Office will undertake all preliminary legal procedures, in accordance with the Constitution of the Maldives. Apart from India, the Maldives’ government is also in discussions with Sri Lanka, UAE, and Russia, in pursuing similar treaties.